We value our Youth here at Christ United. Through our Sunday morning and evening activities, our trips and retreats, and our service projects, we offer a plethora of opportunities to create lasting memories and relationships built off of the foundation of Christ’s love for us. We hope you will join us as we grow together in our faith! Youth programs are held upstairs in the Sports & Rec Center, located on the south side of our campus in rooms S205-S214 by grade-level. Scholarships are available for every Youth event. For more information, contact Stefani Reed-Meyer or visit the Youth Ministries Facebook page. Youth Sunday School meets each Sunday morning in the Sports & Rec Center. Students hang-out in the lobby and gym until dismissed upstairs at 9:45 AM. Middle School meets in the Loft for a large-group lesson and then splits into grade-levels. Classes release at 10:45 AM. 6th-12th grade youth meet on specific Sunday evenings from 5:00-7:00pm in the Sports & Rec Center to discover God’s potential for their lives through a time of fellowship, games, and worship. Fall 2018 Sunday night programming will meet every Sunday beginning August 12 and ending on November 11. Trips and retreats are a great opportunity to learn more about your faith, live in service to Christ and have a lot of fun. Fall Retreat – One of the most popular youth trips of the year. Youth (6th-12th grade) travel to Sky Ranch in east Texas for a fun weekend of canoeing, horseback riding, team sports and God time. Watch for more information and online registration as the date gets closer. Girls and Guys Retreats – Throughout the school year, we will have retreats for students at the church. Be sure to stay up-to-date on our event page to see what retreats are coming up! 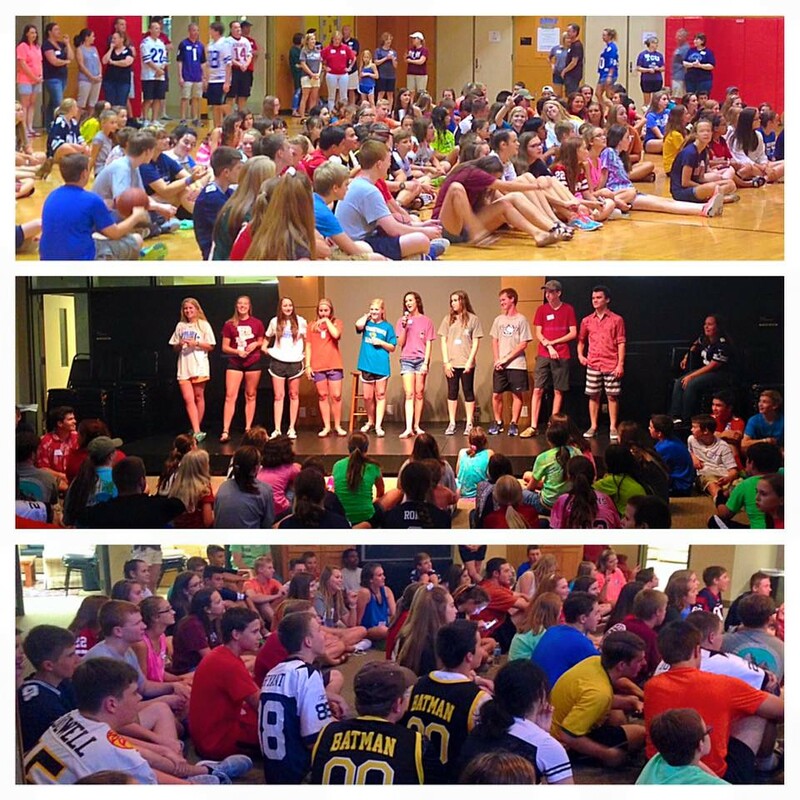 Mystery Trip – This is the highlight of the summer for 6th-8th graders in the youth ministry. We take our Middle School students to an undisclosed location for a few days of faith development, fun activities and service projects. Youth Sunday School meets each Sunday morning in the Sports & Rec Center. Students hang-out in the lobby and gym until dismissed upstairs at 9:45 AM. High School students meet in their specific grade-level class. Classes release at 10:45 AM. Trips and Retreats are a great opportunity to learn more about your faith and to live in service of Christ. 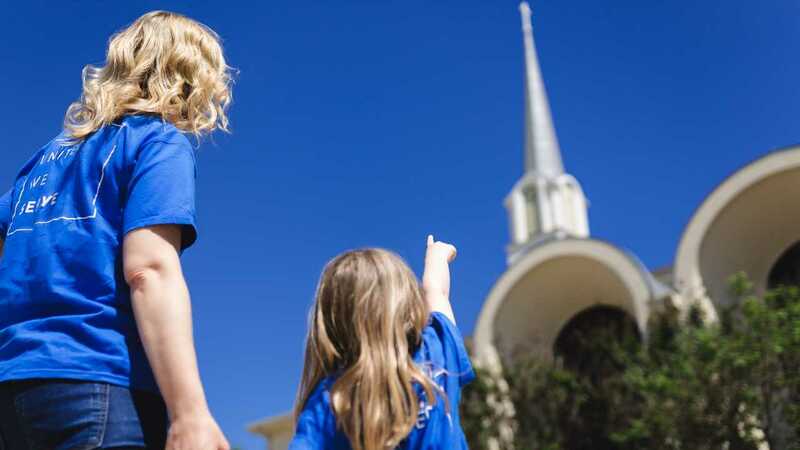 Spring Break Mission Trip – Every spring break, we head out to one of America’s largest cities to participate in urban mission work and spread Christ’s Love. APPA– For one week out of the summer, high school students devote their time to helping an impoverished community. We share the love of Christ with people in that community by repairing homes and loving everyone we meet! On Sundays, our Cookie Crew provides baked cookies for our youth that meet during Sunday School. This team of adults commits to baking cookies on a rotating basis and delivers them to the church for the youth to eat so that they feel “at home” in the Sports & Rec Center. Our Snack Supper crew serves a light dinner from 6:30-7 PM for $3 to students on Sunday nights during Sunday evening programming. If you are interested in any of the volunteer opportunities above, please contact Stefani Reed-Meyer.